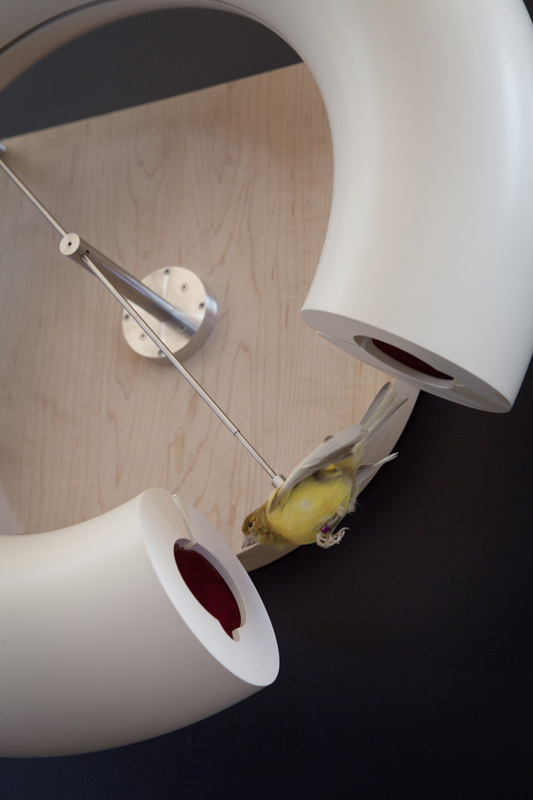 The taxidermic finch (smaller and prettier than the cuckoo) makes one rotation of the hollow circular tube on the hour, every hour – appearing briefly as it passes through the window. 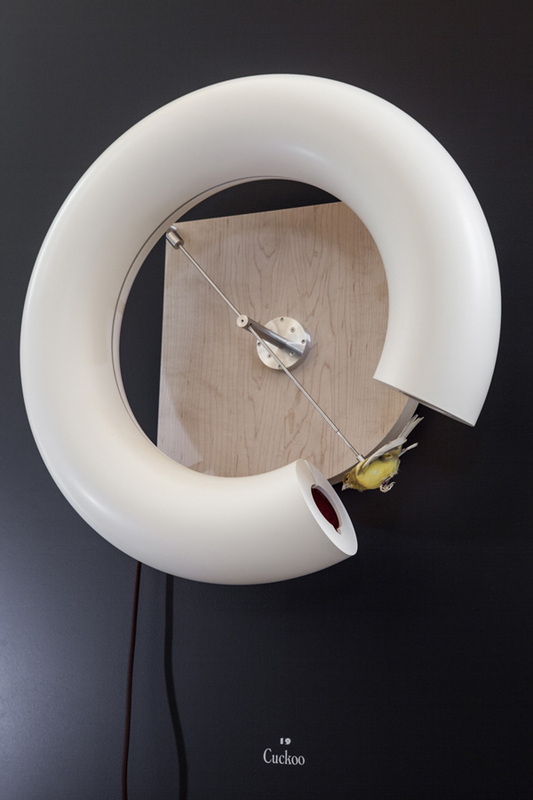 The intention is to manufacture a different relationship to time – shifting away from the ubiquity and banality of the digital clock towards the spectacle of the cuckoo. In this case the bird flies fast and the spectacle is over in the blink of an eye. The project was initiated by Jean-Pierre Greff, Director of HEAD – Genève for 24 heures dans la vie d’un coucou suisse : Exposition au Musée des arts et métiers, Paris.